One day the best gamers in the world receive an invitation to compete for a $100,000 grand prize. When they all arrive, they find themselves alone in an office building, given instructions by a computer, which tells them to put on these state of the art suits, and once they do they are literally in the game. The game is like nothing they've ever seen before, a real life Call of Duty, but when they engage the terrorists, they learn that the consequences are all too real, and the only way to get out is to win. The Call Up isn't a new idea, however after the failure of films like Gamebox 1.0 and Stay Alive, it's been a decade since anyone has attempted to make a film like this. Since then, the technology has come a long way, allowing the filmmakers to finally get it right. The CGI and computerized effects are impressive for any film, not to mention a B-movie. The original idea and tech are so innovate, that it takes your mind off the fact that the acting in this film wasn't all that great. Additionally, the development of the characters and their backstories was fairly strong, strong enough, that each viewer should have their own favorite to win, meaning the audience is invested in the game as well. Watching this film is an adventure, in that one feels a part of the game, the strategy, and even has an investment in what happens to the individual gamers. A better cast would have added a lot to this film, but as I said it's a B-movie and I'm guessing all those special effects didn't come cheaply. Viewership without any performer of recognition may have been a factor, but once people click that watch button, they will be quickly drawn into a film the likes of which hasn't been seen before. 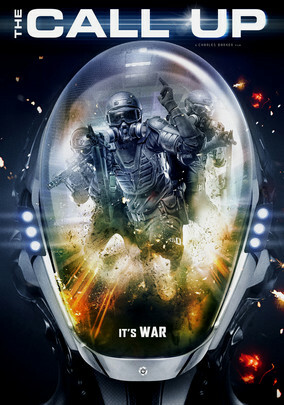 The Call Up receives big points for originality, special effects, character development, and certainly stands out for being a film that is truly one of a kind.